Lantern Lane Designs shared her office and laundry room makeover. Beautiful! The Style Safari transformed a side table with paint, wallpaper and new knobs. Stunning! 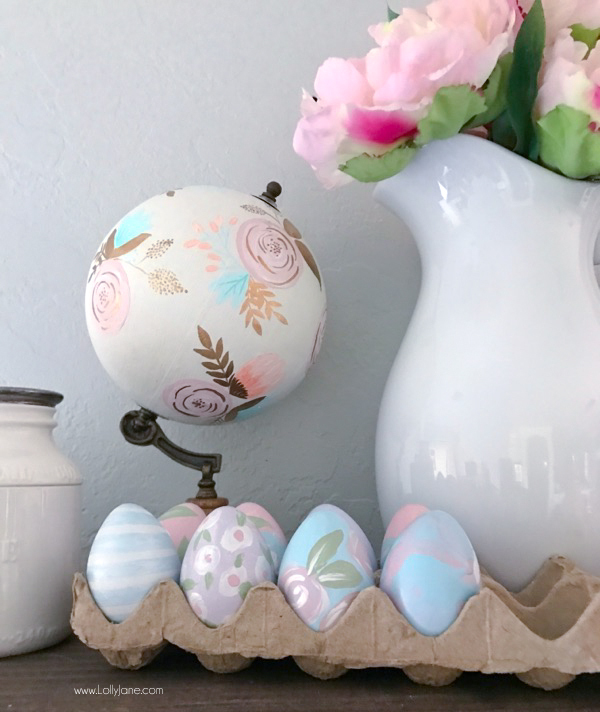 Lolly Jane gives a great tutorial on how to create these super cute DIY faux Easter eggs. Busy Being Jennifer shares a recipe for lemon poppy seed trifle. Thanks for hosting and enjoy your week. Happy Spring! Wishing you many Easter blessings. Thank you for the party and have a Happy Easter! Thank you for hosting each week. Happy Easter.